Points are accumulated based on the class and number of entries. Our Points Breakdown Information Sheet provides detailed information on how to accumulate points. 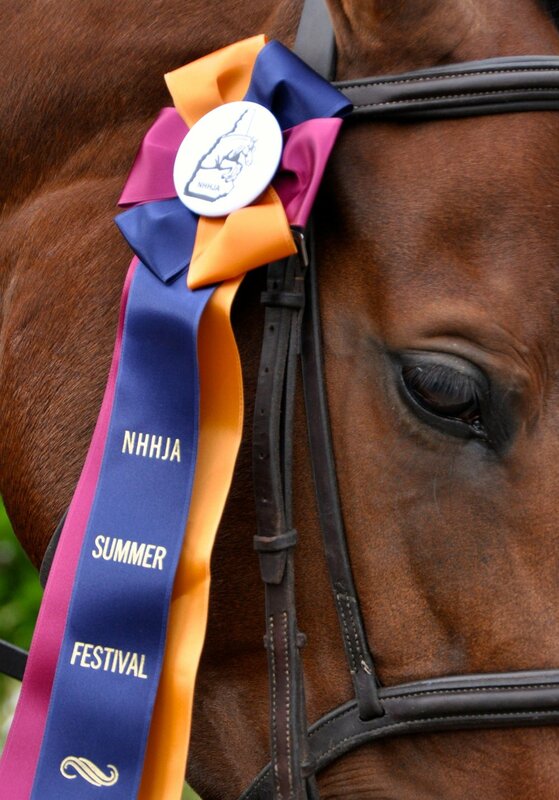 To be eligible for year end awards the horse and rider combination must compete in three NHHJA shows. There are five series shows and two special shows (Spring Show and Summer Festival) for a total of 7 NHHJA horse shows. NOTE: Summer Festival results show blanks as those folks did a "Summer Festival Only" membership and will not be part of the year end awards so are not listed. We are working with new software and are learning the challenges, we have great support from the vendor and hope to be able to show all results next year.